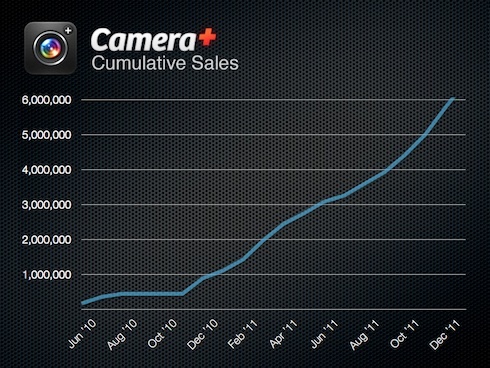 Today, tap tap tap, maker of popular photo taking app Camera+ shared some astonishing numbers when it comes to sales and growth of its app. The company announced its six millionth sale today. I’ve personally never seen a paid app on any platform maintain this type of growth trajectory, and it’s a testament to tap tap tap’s ability to give its community what it wants. The word of mouth about the app is amazing, as most of my non-geek friends purchased it a long time ago. With a price tag of just $.99, you can’t go wrong with it.